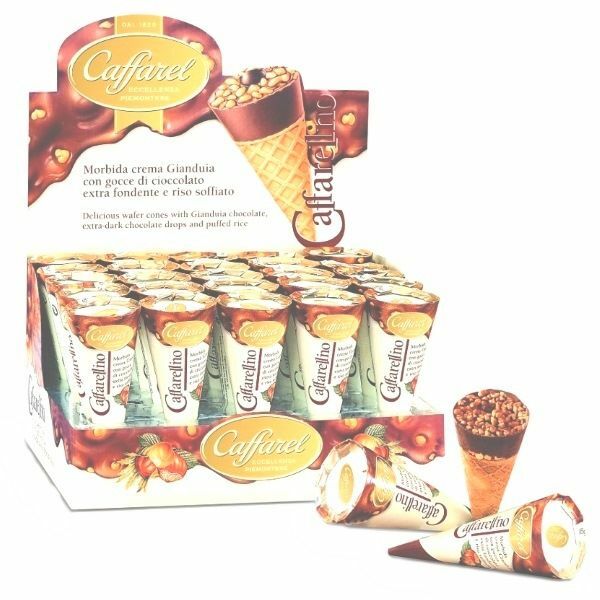 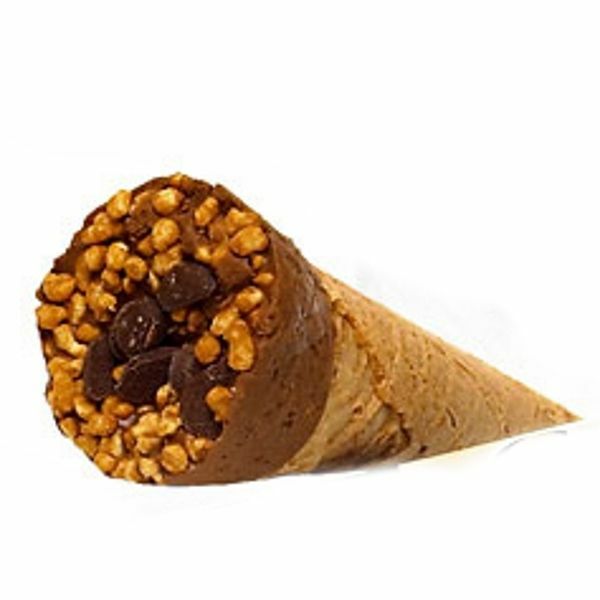 Caffarellino Gianduia wafer cone - looks like small ice cream but this wafer cone is filled with indulgent chocolate/hazelnut gianduia with chopped Piedmont hazelnuts, puffed rice and chocolate drops. A treat for children and grown-ups! 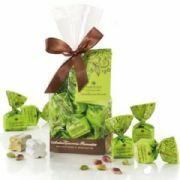 Delicious with cup of coffee or after dinner or even wedding favours. 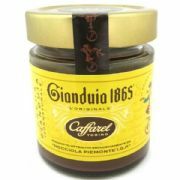 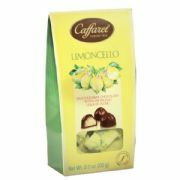 Made by Caffarel, one of Italy's oldest and finest chocolatiers since 1826. 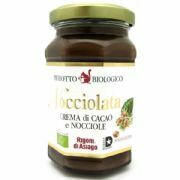 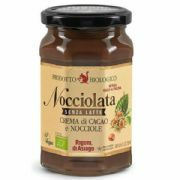 Ingredients: Hazelnut Cream 48% (Sugar, Vegetable Fats (Coconut, Palm Seed, Palm, Shea in variable proportions), Hazelnuts 14%, low fat Cocoa Powder, Milk Powder, Soya Lecithin, Flavourings, Vanillin), Chocolate 30% (Sugar, Cocoa mass, Cocoa Butter, Soya Lecithin, Flavourings, Vanillin), Wafer 14% (Wheat Flour, Sugar, Vegetable Fat (Palm), Salt, Soya Lecithin), Rice Crisp 8% ( Rice Flour 91%, Sugar, Barley Malt Extract, Salt). 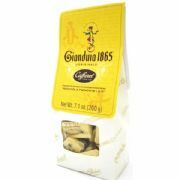 May contain other nuts and traces of egg.